In my front yard I have a thriving planting of Oregano Vulgare. Although the herb is best eaten before the plant flowers, there ARE some very practical things that you can do to utilize the flowers. Don't pinch off all the flowers (if you must pinch off at all!) because the pretty, fragrant flowers will attract pollinators like the honey bee. Bee farmers may actually thank you for the mild oregano-flavoured that results. The flowers have a more delicate flavour than the leaves and are a lovely cullinary addition to salads, sauces, and Mediterranean-type dishes. 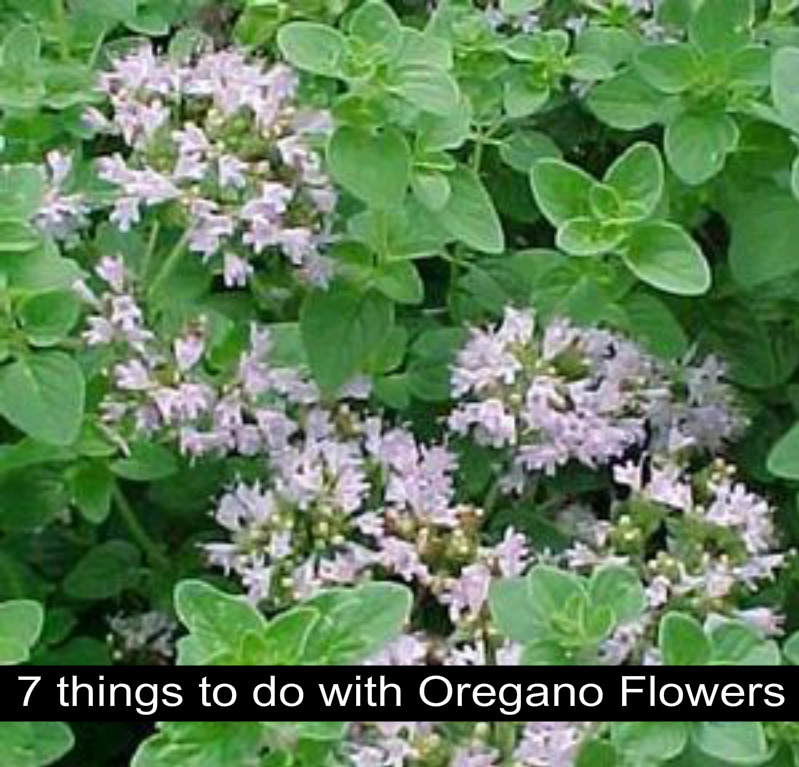 Essential Oil of Oregano has been valued for its curative health qualities for generations! Even just 'smelling' the plant is said to be very health-giving. Put a garden chair next to a clump of oregano so you can sit there to take the sun and breathe in the fragrance. Make a tea by pouring hot water over 3 T. of flowers, steeping for about 10 minutes, sweetening with honey and drinking about 3X a day. This tea will be helpful for menstrual cramps. Place a sachet of dried flowers under your pillow to help soothe your mind after a brain-binging day. Oregano is a great companion plant grown near cabbage, cauliflower and broccoli to repel the cabbage butterfly. Birthday Gift for a "Chef" Friend: Draw together a bouquet made up of oregano flowers, sage, mint, thyme, rosemary,cilantro flowers, arugula flowers and chive flowers (example). The beautiful bouquet will have deliriously fragrant notes that just might get you an invitation to dinner! Wreath-makers, check here and see some of the wonderful wreathes you can fashion with oregano flowers! Many of the products and services offered on this site. That means that when you click and purchase these products or services I receive a small commission. I appreciate your support for maintaining the information on this site!